Shigeru Miyamoto, Nintendo's lead creator of Mario, Zelda and Donkey Kong, was recently showing me Pikmin 3, but there was something he'd just said that I had to follow up on. "I have to ask, Mr. Miyamoto, you said you have made a bad game. What was the bad game you made?" I wondered how he'd reply. He was responding in Japanese, at first, to a translator. I don't speak Japanese, so I had time to ponder. What "bad" game of his might he mention? The underachieving Super Mario Sunshine? It wasn't that bad. The disappointing Yoshi's Story? Was he even involved in that? The iffy Wii Music, which I know he'd been really invested in? Maybe some game I'd never heard of? Maybe he'd just dodge this question? "I wouldn't say that I've ever made a bad game, per se, but a game I think we could have done more with was Zelda II: The Adventure of Link," he said. OK. Way more specific and high-profile than I was expecting! For you youngsters out there, he was naming the second ever Zelda game, which was released on a disc on the Famicom Disk System in 1987 in Japan and on a cartridge on the Nintendo Entertainment System in 1988 in North America and Europe. The game was radically different than any other Zelda before or since, as it alternated between a vast overworld viewed from above to towns and dungeons presented from a side-scrolling perspective. This Zelda game had experience points and leveling up. Miyamoto was 34 when the game came out (I was 11). He's 60 now. "When we're designing games, we have our plan for what we're going to design but in our process it evolves and grows from there," Miyamoto said. "In Zelda II: The Adventure of Link, unfortunately all we ended up creating was what we had originally planned on paper." "So that's a rule of thumb," I asked, "that if you find yourself at that point, you know the idea wasn't successful? Or is that you didn't give yourself enough time?" "I think specifically in the case of Zelda II we had a challenge just in terms of what the hardware was capable of doing," he said. "I'm just curious," I pressed, "what would you have liked that game to have been like?" "So one thing, of course, is, from a hardware perspective, if we had been able to have the switch between the scenes speed up, if that had been faster, we could have done more with how we used the sidescrolling vs. the overhead [view] and kind of the interchange between the two. But, because of the limitations on how quickly those scenes changed, we weren't able to." That part of Miyamoto's reply puzzled me, because I hadn't remembered the transitions taking that long. A YouTube video of the original Famicom Disk System version of the game shows, however, that there was a few-second delay going back and forth. "The other thing," he said, "is it would have been nice to have had bigger enemies in the game, but the Famicom/NES hardware wasn't capable of doing that. Certainly, with hardware nowadays you can do that and we have done that, but of course nowadays creating bigger enemies takes a lot of effort." "I'm sure people would love for you to return to Zelda II with [Zelda lead producer] Mr. Aonuma at some point," I said. For now, Miyamoto's all about the soon-to-be-released Wii U game Pikmin 3. And the Zelda franchise is booked with a fall remake of The Wind Waker, a sequel to the Super Nintendo's A Link to the Past and an eventual brand-new Zelda game for the Wii U. To contact the author of this post, write to stephentotilo@kotaku.com or find him on Twitter @stephentotilo. 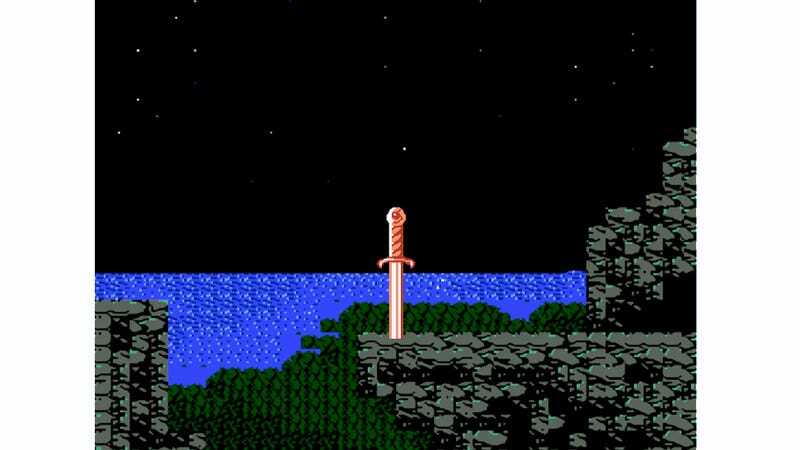 Zelda II overworld screenshot via Sharenator.